Boost Wi-Fi coverage to your devices to the max. 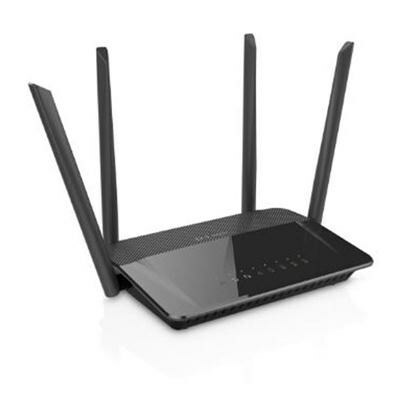 The DIR-822 avoids interference to deliver the fastest wireless speeds; improved coverage and reliable connections. You can do multiplayer gaming; HD streaming; file transfers; video chat; email and web surfing all at the same time. Use the 2.4 GHz band for everyday tasks; while leaving the high-speed 5 GHz AC band free for HD video streaming; online gaming and large file transfers. With fewer devices using the high-speed 5 GHz band; there's less interference and congestion; giving you better performance and a lag-free wireless experience. High-gain antennas give you exceptional coverage in and around your home. 7.5 x 5 x 1 in.